Meghalaya Government Jobs page will help you to find about latest government jobs in Meghalaya. You will get all the required information for current govt job openings by Meghalaya state government in the below table. With the help of table, you can get the information about the last date of the form ends, eligibility, number of vacancy and post name. If you want to get more information about any specific Meghalaya government jobs then you should click on the title of that specific job post for detail information like important dates, notification attachment, how to apply, useful links, age limit and more. So if you’re not in the mood to miss any upcoming updates for Meghalaya government jobs then bookmark this page now by pressing CTRL+D or keep visiting our site Jobsarkari.com on regular basis. 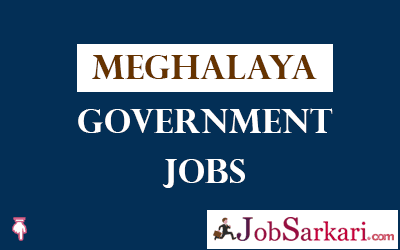 We will keep updating this page of Meghalaya government jobs on the regular basis.